James O’Connell, M.D., a 1970 University of Notre Dame graduate and founder and president of the Boston Health Care for the Homeless Program, was recently awarded the Albert Schweitzer Prize for Humanitarianism. 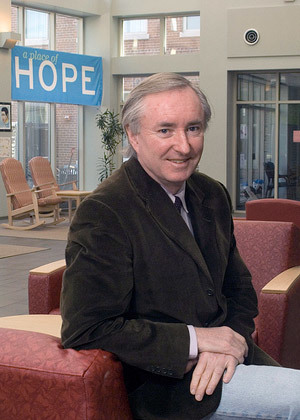 Presented by The Albert Schweitzer Fellowship, this prestigious award recognizes O’Connell for his advocacy and direct service to people experiencing homelessness. The Schweitzer Prize is given to an individual whose life example has significantly improved the health of people in the United States or abroad, and whose commitment to service influences and inspires others.